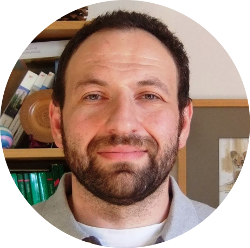 He is a Research Staff Member (RSM) in the Systems & IoT Engineering group at IBM Research – Haifa and has served as the technical lead and Principle Investigator for numerous projects, both with government and private customers. Michael’s research interests focus on the development of engineer-friendly tools and applications for deterministic and stochastic combinatorial multi-objective optimization. These include simulation and optimization-based engineering of complex systems and system of systems design, control, scheduling and logistics. Michael received his masters in mechanical engineering from the Moscow State University of Railway Transport, and then went on to get his masters and PhD in industrial engineering at the Technion – Israel Institute of Technology. He has published many papers in leading professional journals and conferences, filed 10 IBM patents, and continues to supervise graduate students at the Technion and Tel Aviv University. He is a RSM in the Systems & IoT Engineering group at IBM Research – Haifa and in final stages of his Ph.D. at Haifa University, Israel. He has M.A. degree in statistics from Haifa University, Israel and M.Sc degree in Computer Science from Kharkov Technical University of Radio and Electronics, Ukraine. His Ph.D. work is focused on simplex-type algorithms for continuous-time linear programming under the supervision of Prof. Gideon Weiss.